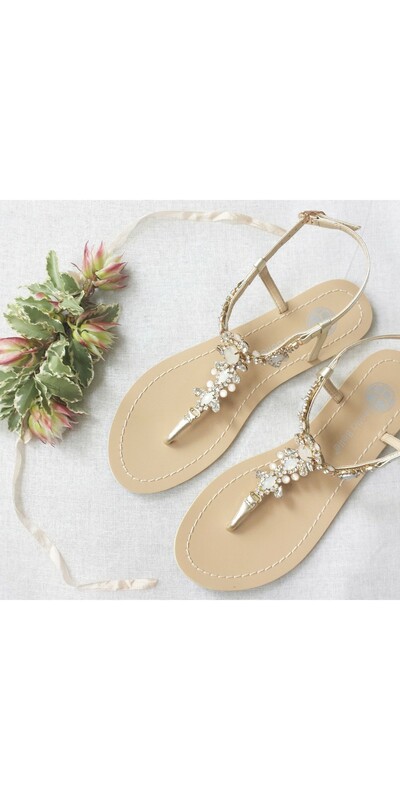 Luna Bridal Sandals. Fast worldwide delivery. Click or call 323-592-9172 for more info. By buying this product you can collect up to 15 loyalty points. Your cart will total 15 loyalty points that can be converted into a voucher of $3.75. 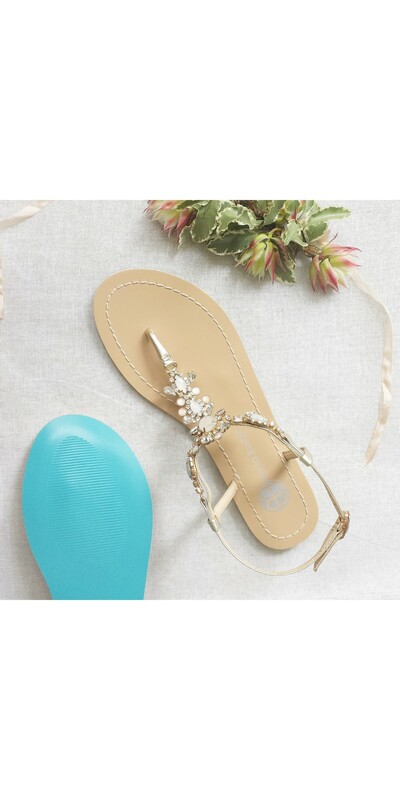 Perfect wedding sandals for your destination or outdoor weddings! Are you a casual bride who wants style without sacrificing comfort? Dazzle in vintage-inspired 'Luna' sandals with rows crystal jewels and white onyx-like stone set on gold metal plate. Features blue sole that can be your 'something blue' element on your wedding day. Features adjustable buckle closure, genuine leather upper and non-skid sold. Whether it is for a beach wedding, to change into for the reception, or to dance the night away, these 'Luna' sandals will keep you sparkling throughout. The best thing? You can rewear them after your wedding. Materials: Leather upper, crystal embellishments.